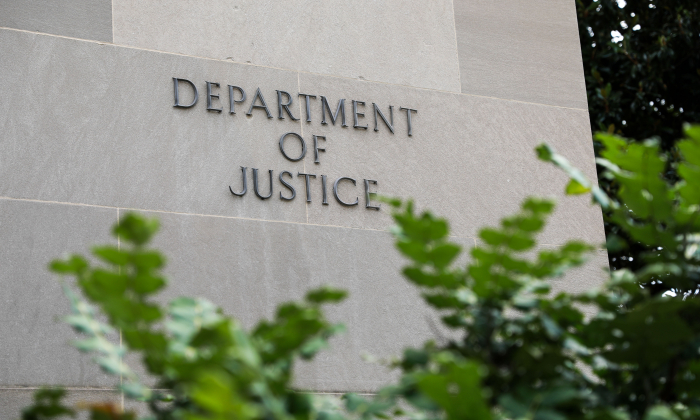 A senior Department of Justice official secretly attempted to re-engage the author of the infamous anti-Trump dossier with the FBI and the team of special counsel Robert Mueller, months after the bureau terminated the former UK spy for leaking to the media. Newly released messages between Associate Deputy Attorney General Bruce Ohr and Christopher Steele show that the pair maintained frequent contact as late as Nov. 27, 2017, more than a year after the FBI cut ties with Steele for disclosing to the media his association with the FBI, in violation of the bureau’s rules for confidential human sources. The communications raise questions about Ohr’s intentions, because the FBI prohibited Steele from collecting intelligence on the bureau’s behalf. Meanwhile, Ohr had no role in the Trump–Russia investigation and apparently kept his relationship with Steele secret from Deputy Attorney General Rod Rosenstein, his boss at the DOJ. In the messages, Ohr indicated that he took concrete steps to connect Steele with Mueller’s team, although his attempts appear to have failed. Regardless, Ohr became a conduit for funneling information from Steele to the FBI less than three weeks after the bureau terminated Steele in early November 2016. Ohr met with FBI officials Lisa Page and Peter Strzok less than three weeks after Steele was terminated. He continued to funnel information to the FBI throughout 2017, according to House Freedom Caucus Chairman Mark Meadows (R-N.C.). Page, Strzok, and Steele all expressed intense biases against Donald Trump. “Hi Bruce, is there any news on reengagement yet? Anything we could do to help from this end? Grateful for an update,” Steele wrote to Ohr on June 22, 2017. “I will inquire and let you know,” Ohr responded the same day. “Still in progress. My colleagues have made the request but will inquire again,” Ohr wrote two days later, on June 24, 2017. Steele repeated his overture three weeks later. “I spoke to my old colleagues last week and they assured me they would not stand in the way of our reengagement with the Bureau. They thought the admin would take a few weeks but we seem good to go. Please pass this on as appropriate. Crazy week over there just past!” Steel wrote to Ohr on July 16, 2017. By August, Steele said he was “frustrated” with how long the FBI and Mueller were taking to re-engage. “Whenever convenient I would like a chat, there’s a lot going on and we are frustrated with how long this reengagement with the Bureau and Mueller is taking. Anything you could do to accelerate the process would be much appreciated. There are some new, perishable, operational opportunities which we do not want to miss out on,” Steele wrote to Ohr on Aug. 6, 2017. “Chris, good to hear from you. Would tomorrow morning at 9 am D.C. time work for you? Thanks!” Ohr responded the same day. By October, Steele began to grow worried about congressional investigations into his work with the FBI. “Just seen a story in the media about the Bureau handing over docs to Congress about my work and relationship with them. Very concerned about this. Peoples [sic] lives may be endangered. I shall also reach out to my other (SC) contacts on this issue tomorrow,” Steele wrote to Ohr on Oct. 26, 2017. With “SC,” Steele is likely referring to the special counsel. “Chris, my apologies, just saw your message. I am available for a call tomorrow am,” Ohr responded the next day. Congressional investigators stumbled onto Steele’s activities while investigating allegations of collusion between the Trump campaign and Russia. They discovered that the Clinton campaign ultimately paid Steele to dig for dirt on then-candidate Trump during the 2016 presidential election, and also that the dossier that Steele compiled became the core of an application for a warrant to spy on former Trump campaign volunteer Carter Page. By mid-November, Steele’s frustration turned to disappointment, and he expressed anxiety as media continued to reveal the details of his involvement with the FBI. The former spy also said he was under legal pressure, likely referring to a defamation lawsuit by a Russian businessman whose companies were named in Steele’s dossier. “It’s been another tough week here under the media spotlight and with legal pressures bearing down on us. I am presuming you’ve heard nothing back from your SC colleagues on the issues you kindly put to them from me. We have heard nothing from them either. To say this is disappointing would be an understatement,” Steele wrote to Ohr on Nov. 18, 2017. Steele’s suggestion that Ohr has done his “very best to support” Steele and his unidentified colleagues is especially problematic since the FBI knew as early as March 2017 that Steele was still digging for dirt on Trump for the same firm, Fusion GPS, and that the spy’s efforts were being privately funded by a group of wealthy donors primarily from New York and California, who paid nearly $50 million for the effort. Investigative journalist John Solomon was the first to release the text messages between Ohr and Steele. The documents are marked with “HPSCI” (House Permanent Committee on Intelligence). “DOJ declines comment,” Justice Department spokesman Devin O’Malley wrote. The specials counsel’s office declined to comment. Steele’s intelligence firm in the United Kingdom didn’t respond to a request for comment by press deadline.